Christopher C. (“Chris”) Nolan has a civil litigation practice devoted primarily to commercial and real estate matters. Mr. Nolan represents businesses in contract disputes and debtor-creditor litigation, and in a variety of real estate and construction matters, including mortgage lending and foreclosure cases, mechanic’s liens and real property title claims. 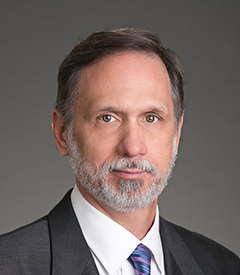 For over thirty years, Mr. Nolan has represented local and national real estate developers, homebuilders, banks and mortgage lenders in a wide range of lawsuits involving the development, financing, leasing and sale of real property. Mr. Nolan is also counsel for a national title insurance company and the lenders and owners it insures. Mr. Nolan practices in all state and federal trial courts and appellate courts in the Commonwealth of Virginia, and in the District of Columbia Superior Court and Court of Appeals. Although his practice is primarily in northern Virginia, Mr. Nolan regularly appears in courts all across the Commonwealth, including courts in the Charlottesville, Richmond and Roanoke areas, and in the Hampton Roads area. For two decades, Mr. Nolan has been A/V Preeminent rated by Martindale-Hubbell. This is the highest level of professional excellence recognized by the nation’s leading rating service for lawyers. Successfully obtained judgments in favor of owners and mortgage lenders in hundreds of quiet title and reformation actions across the Commonwealth of Virginia in real property title and mortgage lien cases. Lead counsel for a real estate developer in multiple mechanic’s lien cases in the Virginia Supreme Court establishing Virginia law concerning necessary parties and bona fide purchasers in mechanic’s lien litigation. Successfully defended the corporate owner of real estate housing cooperative interests in a Virginia Supreme Court case involving the assessment and collection of cooperative fees under the Virginia Real Estate Cooperative Act. Lead counsel for a real estate developer in a landmark Virginia Supreme Court case examining and refining the merger doctrine and the economic loss rule in Virginia. DISCLAIMER: PRIOR CASE RESULTS DO NOT GUARANTEE OR PREDICT A SIMILAR RESULT IN ANY FUTURE CASE UNDERTAKEN BY CAMERON/MCEVOY, PLLC OR ANY OF ITS ATTORNEYS. THE FACTS AND MERITS OF EACH CASE DEPEND UPON A VARIETY OF FACTORS UNIQUE TO EACH CLAIM.